The books COW the latest syllabus prescribed by the CBSE. All provisions of the new Companies os Act, 2013 and Rules under this Act have been incorporated. A large number of value based illustrations and unsolved problems have been included in the book. Sufficient ’Higher Order Thinking Skills’ (HOTS) illustrations and problems have been given. Practical and Theoretical Exercises have been arranged in the ascending order of difficulty level. Suggested Answers to Practical Problems have been given at the end of each chapter. There are sufficient Illustrations and Exercises for all types of student All illustrations carry detailed Working Notes wherever necessary. 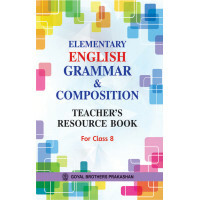 The book contains all types of questions based on marks as per the design of the CBSE Question Paper. In order to help the students do time bound practice at home sufficient Sample Test Papers and model Test Papers have been included. There is an academic advice for the brilliant students to follow to reach the most coveted level of +95% marks. Some parts of some chapters are marked as ‘Enrichment Learning' for those students who have decided to go in for a career in accountancy. All Specific Projects are from everyday life and have been based on latest information picked up from national dailies. Video lecture on each topic with replies to queries for better and clear understanding of the concepts. Easy to access anytime : With video lectures, students can learn anywhere from their mobile devices: desktops, laptops, tablets or smartphones. Students leam when they are primed to learn. Students can pause, rewind and rewatch the lecture. Eases the distraction of having to transcribe the lectures. Self-paced learning : Students can follow along with the lecture at their own pace, going more slowly or quickly. Bookmarking : Students can bookmark the point where they're up to in the video so they can easily return and continue watching the lecture at a later point. Searchability : Students can easily search through the lecture to find the required sub-topic they need, without having to rewind and fast forward throughout the video. Greater accuracy : Students will understand the lecture better and can make sure that they have not overheard anything. Rise & Shine An Integrated Semester Course For Class 4 (Semester 1)..